It’s also a confusing and frustrating period for employees, many of whom feel overwhelmed by the process and may want to sidestep benefits conversations altogether. However, ignorance is definitely not bliss, and employees that fail to examine their options could take a hit in their wallets. Employee benefits should be designed to meet both employee and employer needs. However, since such needs can change over time, an employer must continually evaluate its benefits offerings to make sure they match the organization’s evolving needs and strategies. 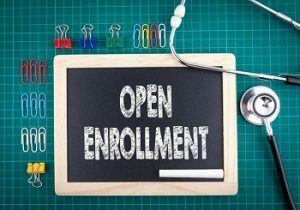 A good time for an employer to assess its current benefits offerings is when it begins initial preparation for open enrollment. Conducting a thorough vendor assessment to determine whether its benefits vendors are meeting the employer’s needs. Many employers communicate with employees about benefits only once a year, right before open enrollment. However, presenting so much information to employees all at once can be overwhelming, and important details can get lost in the flood of open enrollment materials. Ideally, an employer should develop a plan to communicate benefits information all year, and open enrollment should only be one part of this strategy. This way, when open enrollment approaches, the employer does not have to present everything at once and can focus on changes to benefits plans and helping employees through the process. During open enrollment, employers should not forget about qualified beneficiaries under the federal Consolidated Omnibus Budget Reconciliation Act (COBRA). COBRA requires group health plans to offer continuation coverage to certain covered employees, former employees, spouses, former spouses and dependent children when group health coverage would otherwise be lost due to certain specific events. Qualified beneficiaries on COBRA must be offered the same benefits, the same benefit choices, and the same co-payments, deductibles and coverage limits as similarly-situated individuals. Additionally, qualified beneficiaries must have the opportunity to choose different benefits during open enrollment. Even though health insurance is probably the benefit considered most critical to employees, an employer should not neglect emphasizing all the benefits it offers during open enrollment, even the more atypical ones. A variety of benefits are designed to provide convenience and cost savings to employees, and offering them can increase retention, improve recruitment and make an organization’s total compensation package more well-rounded and comprehensive. Many employers offer a lot of valuable benefits other than health insurance, but these offerings may get neglected, especially during the craziness of open enrollment season. However, employers should use this time to emphasize all of its benefits catalog. Employee benefits are usually very important to employees, and an employer needs to make sure its workforce understands the significance of open enrollment and is engaged in the process. An employer should develop a communication strategy that takes into account all of its employees, realizing that people process information in different ways and considering the multiple generations currently in the workforce. Traditional methods of open enrollment communication like brochures, postcards and newsletters are a great place to start. However, it is also a good idea to use other communication techniques such as social media, webinars and text messaging to reach your entire employee audience. Open enrollment is a time when an employer can reinforce the value of the benefits it provides to its workforce. If an employer adds coverage during open enrollment, it should highlight such enhancements to employees. How the changes benefit employees and help the organization meet its objectives. Employers spend a lot of money on benefits for their workforce, and they want employees to use, appreciate and understand their benefits offerings. As always, communication is key to helping employees figure out their benefits plan options so they can make the best decisions for themselves and their families. The summaries of benefits and coverage required by the Affordable Care Act are helpful, but including more examples and scenarios could enhance open enrollment materials even more. Many employees assume sticking with the benefits they chose for the past year is their best option. Sometimes that strategy may work, but it is hardly a sure thing. Changes can happen in many respects, including an altered family situation or an employer reconfiguring the available plan options. That’s why it’s important to encourage employees to review everything each year to make sure they are choosing the options that are the best fit for their circumstances and lifestyles. Want to know more about getting through open enrollment season? Learn about XpertHR’s Most Effective Ways to Manage Open Enrollment.